Lindsay is part of a grassroots movement that is working to get status Indian rights for members of the Michel First Nation 132. Lindsay’s mother is status from the Michel band. The Michel land base, said Lindsay, is where the hamlet of Villeneuve and numerous gravel pits are located in the northwest of Edmonton. 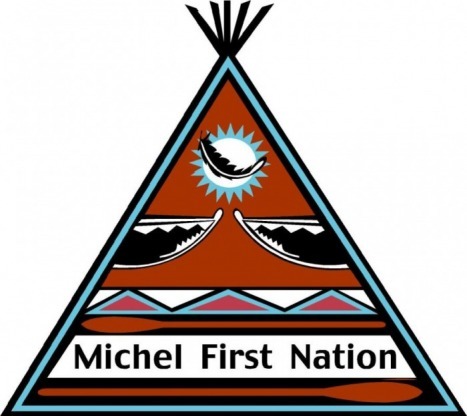 Correspondence, which has been going back and forth between the Descendants of Michel First Nation Association and the Liberal federal government has resulted in little action, says Lindsay. “Over the last 5 weeks we have been emailing you in an honest attempt at reconciliation of our situation and have the Indian Act revamped or removed…. It appears that Government would rather befriend Refugees and ignore the situation of the indigenous Peoples Rights. What ever happened to Trust and Honor,” wrote association spokesperson Brandy Calihoo in an email dated May 29 to Prime Minister Justin Trudeau and Indigenous Affairs Minister Carolyn Bennett. At issue, says Lindsay, is action taken by the federal government when in 1906 it offered voluntary enfranchisement (a First Nations person would relinquish status in exchange for land and the right to vote). Because it wasn’t a popular move with First Nations people, in 1922 the government began involuntary enfranchisement. “They could literally sign you up and there was nothing you could do about it. The first 10 families enfranchised in 1928, yet only four families actually received something for being enfranchised,” said Lindsay. The association contends that the government wanted the Michel land base to mine aggregate, which is now used in concrete in Edmonton, among other communities. “All we are asking for is the federal government to reinstate the descendants of the Michel Band via the Adhesion to Treaty 6. Honour the treaty promises as well as removing discriminating clauses [dis]guised as law: the Indian Act and Gender Equity,” reads a statement issued by the association on June 2. Monetary compensation could come from the mining operation, says Lindsay, who adds they don’t want their land back because it has been mined to the point that lakes and streams have dried up. But monetary compensation isn’t the reason the association was formed.